Our next Devonshire House Event will be on 24.5.17 at the Royal Thames Yacht Club, 60 Knightsbridge, London, SW1X 7LF and Anthony Hilton will be our Speaker. Keen observers of Devonshire House matters will remember Anthony Hilton being listed as our Speaker for our Event on 21st February 2017 and had they had been at that Event will have met and listened to Prof Douglas McWilliams, President of CEBR. They swapped! We are delighted to welcome Anthony Hilton to Devonshire House as our Speaker. Anthony is an author, broadcaster, journalist and lecturer. He is one of most highly regarded economists of today’s generation with a shrewd and sometimes wry view on business. Anthony Hilton will be known to most of us through his incisive articles in the Evening Standard., where he continually sheds light on issues affecting the city and the wider economy both in the UK and internationally. 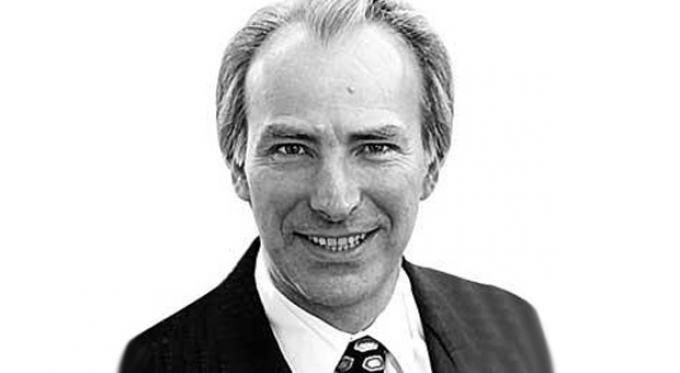 Anthony was City Editor of The Times (1981 to 1983), City Editor of The Evening Standard (1984 to 1989) and in 1989 became Managing Director of The Evening Standard. He held that post for six years before returning to the City Office as Editor in 1996. He has also worked for The Observer, The Daily Mail and The Sunday Express, was Editor of Accountancy Age for five years and served as the Business Correspondent for The Sunday Times in New York for three years. Anthony has been seen regularly on television, filling the commentator’s slot on Channel 4′s TV Business Programme for three years and appearing as the expert panellist on The Stocks and Shares Show. He is also heard frequently on radio. He has written two acclaimed books: How to Communicate Financial Information to Employees and City– a study of how the city of London really works. He has received numerous industry awards for business journalism, including the Decade of Excellence and the Wincott Prize for Business Journalism in 2003. If the UK’s economy is doing so well………………..
Why are the millennials the first generation worse off than their parents? Why are levels of home ownership falling? Why is personal indebtedness near its all time peak? Why do the French produce in four days what takes us five? Why do more than half UK households need some form of state subsidy? Why have real wages stagnated for 10 years for the bulk of the population? Why is the trade deficit the worst since 1948? Why in spite of five years of tax increases is the budget deficit so large? Anthony will also give us his views on today’s current world order – business and economics – all likely to be changing with some energy. But, as is our practice, there will be plenty of Q&A time for us to assess how all this might affect us, our businesses or the businesses of those we advise. The evening starts with drinks from 6.00pm. Dinner will be at 6.45pm and Anthony will speak to us at 8pm with formal proceedings scheduled to finish at 9pm. We are limited to 80 – so there is a need to respond quickly! We do have a good number of forward bookings.